The LGO program offers energy management internships, especially related to delivering and using electricity and gas. 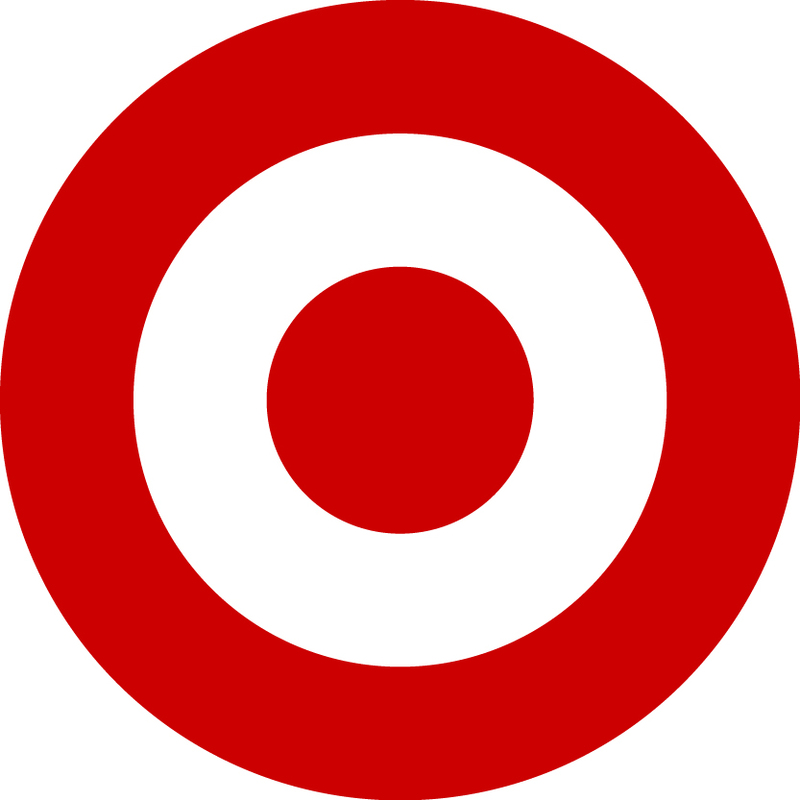 Other companies offer projects around sustainable energy usage, solar energy, and fuel cells. Internships provide a unique opportunity to pair a student’s engineering and MBA studies with an energy engineering and management concentration. For students looking to go even deeper, both the Mechanical Engineering and Civil Engineering departments have specializations in energy, and MIT’s Energy Initiative is a campus-wide organization focused on the topic. Problem: PG&E owns and operates the natural gas system in northern and central California. That system includes over 2,500 regulator stations that control the gas flow, which moves natural gas from high-pressure transmission lines to lower-pressure distribution lines. Regulators can fail through a variety of causes. For example, sulfur contaminants or debris can build up inside the regulator. When they fail, it can cause significant pressure in the pipeline. Therefore, regulator system safety is critical. PG&E has made significant efforts to link regulator stations to the supervisory control and data acquisition (SCADA) system for remote monitoring. By installing more SCADA sensor at regulator stations, PG&E can use predictive analytics of sensor data to identify safety issues before they occur. Approach: Adam developed a set of algorithms to predict and identify potential unsafe conditions for his energy management internship. He was also able to identify performance degradation in a regulator station. If the maintenance team can detect anomalies days or hours before an extreme pressure event, they can fix the problem before failure occurs. Measuring deviations from long-term trends using CUSUM and EWMA methods. Adam’s algorithms focused on time-series of pressure readings downstream of regulator stations. First, he clustered stations using k-means, thereby grouping stations with similar operating characteristics like volatility and pressure patterns. Second, Adam developed a series of algorithms to identify anomalous behavior in a given cluster. 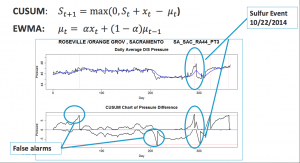 The algorithms use statistical process control techniques, CUSUM, and weighted moving averages to model long-term trends and identify deviations from those trends. He also used local regression methods to identify abnormal local trends. Impact: Adam’s methods have been shown to detect buildups of sulfur and debris days before a corresponding overpressure event. PG&E was able to use Adam’s model to further the predictive analytics for shorter intraday time scales. Adam’s study also allowed PG&E to begin integrating other data sources such as temperature and maintenance into the model. Problem: Vehicle manufacturers are developing technologies to increase fuel economy and reduce adverse vehicle emissions. Alternative propulsion technologies such as fuel cells are of tremendous interest. But factors including infrastructure requirements, technology costs, and market interest make hydrogen fuel cell vehicles (HFCV) less viable. For his energy management internship, David quantified these HFCV adoption barriers and investigated strategies that may mitigate barriers for an HFCV market. Approach: David defined an existing system dynamics model based on the geography, demographics, and regulatory stance of California. He completed dozens of scenarios to assess variable impacts on the projected market share of vehicles based upon propulsion type. Infrastructure: David identified optimal hydrogen infrastructure growth to support people buying HFCV cars and minimize required fueling stations. Furthermore, he outlined the conditions where external station support could give way to organic growth. 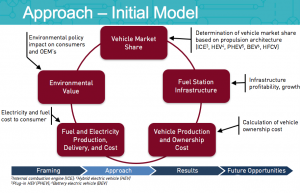 HFCV ownership costs: David identified when vehicle price and government subsidies could best incentivize HFCV adoption. Familiarity and consideration: David assessed how marketing investment needed to make customers familiar with HFCV while minimizing costs. Regulatory impact: David simulated the ZEV Action Plan impact and outlined measures that can be taken to meet regulatory requirements. Problem: Massachusetts wants to have 1,600 megawatts (MW) of solar photovoltaic (PV) generation installed by 2020. National Grid expects that integrating solar power into the electricity network will require changes to the transmission system. Arvind developed a prediction methodology for distribution of solar PV in Massachusetts for use in a transmission system simulation framework. She then analyzed the impact on the transmission system. Approach: To develop a prediction model for solar PV distribution, Arvind gathered ten years of solar PV installation and electricity consumption data and added in population, average solar radiance, number of households, and other demographic data. 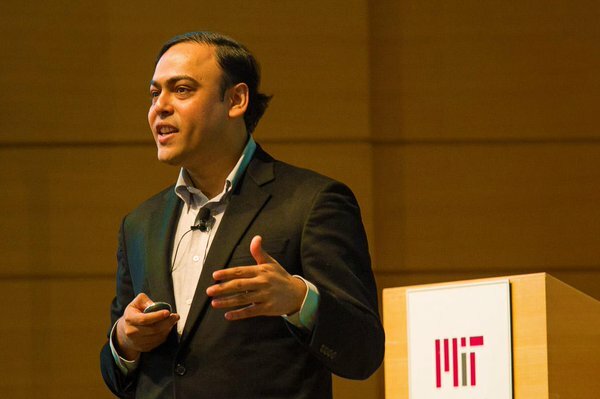 He utilized data mining and machine learning methods to develop a model that gathers data on prediction variables. He then applied a regression model to forecast the capacity of solar PV generation per zip code. 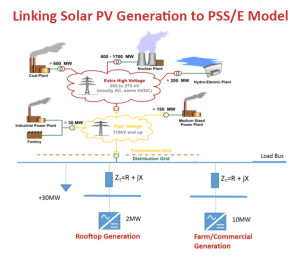 Arvind’s model for linking solar power into the energy grid. Next, Arvind developed a model to represent the predicted addition of solar PV on the system. He analyzed the impact of solar PV installations on steady-state voltage of the transmission system. He also conducted a sensitivity analysis on scenarios such as peak and light electricity consumption periods, different locations of PV, and voltage control methods to identify potential reliability concerns. Arvind tested system reliability in the event crucial transmission line outage. Impact: Arvind’s simulation framework identified that the transmission system in Massachusetts is robust and the voltage impact is within +/- 5% of operating range. As National Grid acquires more solar installation information, new data will further improve the solar PV capacity and location predictions. Also, National Grid could use the simulation framework developed in this project to identify potential other problem areas. See which partners offer internships focused on energy technologies. 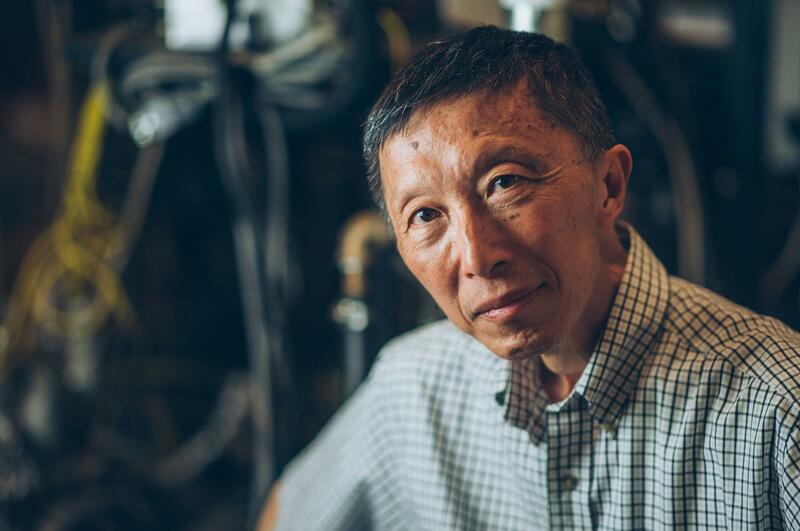 Prof. Cheng oversees LGO projects related to the automotive industry and has a particular interest in energy conversion. Prof. Kieth oversees LGO internships, with particular interest on simulation modelling and new technologies in the automotive industry. Prof. Kirtley oversees many LGO theses devoted to data analytics. He has particular interests in the energy industry. Prof. Amin supervises LGO internships related to network control algorithms and infrastructure systems.